High-quality home audio is an essential part of any living space. The ability to create an ambiance and conveniently listen to your favorite music with stunning clarity just makes being home, well, homier. It all starts with the kind of equipment you choose. When it comes to speakers, there are hundreds of options to choose from, which can make finding the right one to fit your needs a little bit of a challenge. Sound quality, usability, accessories and special features each play a big role, and make all the difference when searching for the right home audio gear. 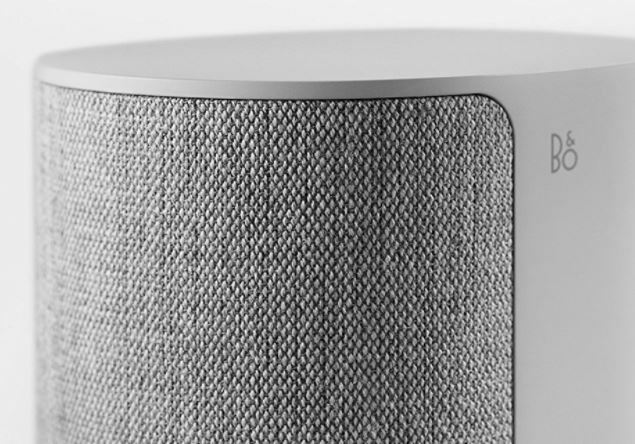 In this review we’re going to take a look at the new B&O Play Beoplay M3 Wireless Speaker by Bang and Olufsen. We’ll be examining the sound quality, features, affordability and the technical specifications to show you just how much power this little speaker really has. 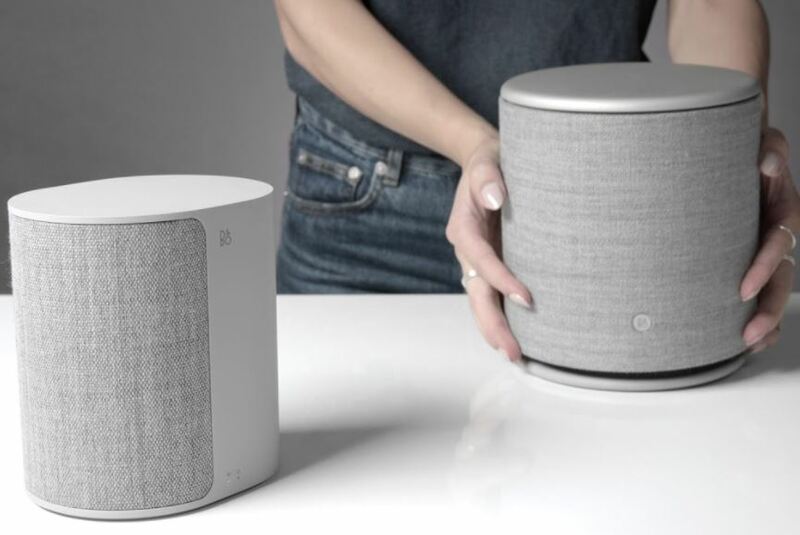 At first glance, the Beoplay M3 Wireless Speaker isn’t as large or impressive looking as some of its predecessors like the Beoplay M5. However, depending on the dimensions of your living space, its smaller, minimalist design could lend itself nicely to medium-sized rooms. The Beoplay M3 comes in two versions: black with an aluminum grill cover, or natural with a Kradvat wool cover. Each grill is interchangeable so you can customize your M3 to fit the mood of any room. The cabinet itself is made of sturdy, anodized aluminum for enhanced acoustics, and the entire unit weighs in at a light 1.46 kg or about 3.2 lbs, so moving it around isn’t exactly strenuous. There’s also a WiFi signal LED, a power indicator, power button and volume buttons on the front and on the sides of the speaker. In the bottom compartment you’ll find a line in, the power input, set up buttons, and a micro USB port. The M3 can also be mounted on the wall through a small screw attachment located on the bottom of the device. The only downside is the power cord that runs out of the back of the speaker. It doesn’t quite jibe with the rest of the speaker’s streamlined, understated look, but also isn’t so large that it can’t be concealed if need be. Before even turning it on, the M3 does appear to be a stylish, modern piece of audio gear with a color scheme and shape that could have a place in just about any type of room. 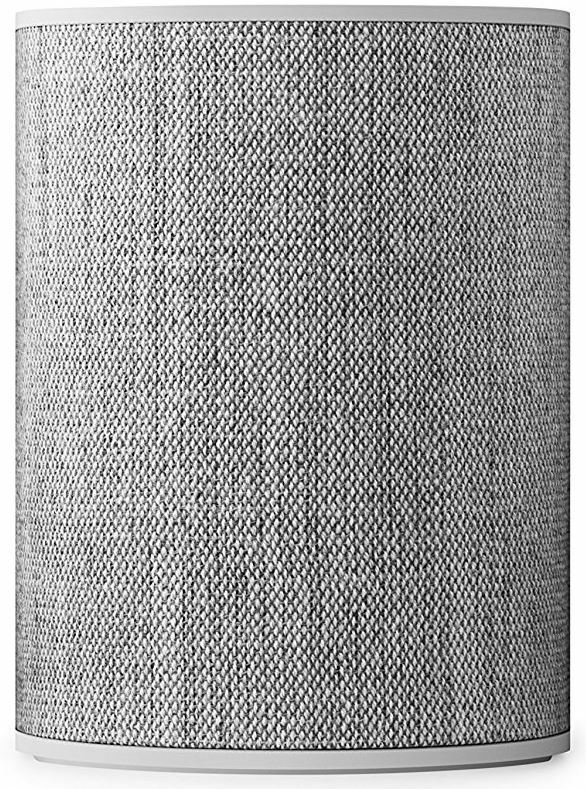 It doesn’t take up very much space, has a durable, cylindrical housing and, from certain angles, looks more like a piece of decorative art than a piece of home audio equipment. As far as design and aesthetics go, we give the M3 a big thumbs up. The M3 doesn’t come with much in the way of accessories, but you likely won’t be disappointed once you see the long list of features built right into the interface. In the box, you’ll find the Beoplay M3 itself, the detachable wool or aluminum grill cover, a mains cable as well as the user manual. No, it isn’t a whole lot, but after spending some time with the M3, we found that it was versatile enough that accessories weren’t entirely necessary. However, one addition we would have liked to see included in the box was a wall bracket. 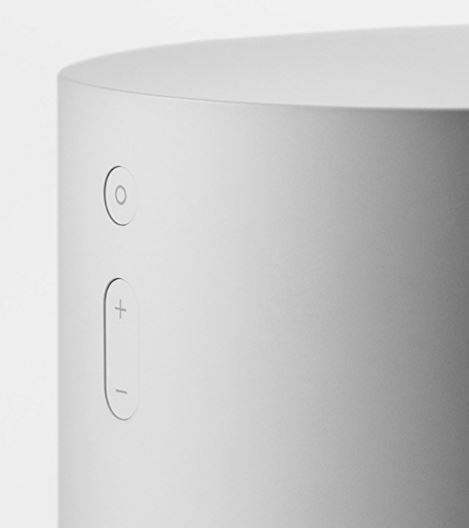 With the screw attachment in the base, installing the M3 on a wall in your home is possible, but requires the purchase of a compatible Bang and Olufsen mount. Without it, the M3 has to either rest on the floor or a table. The Beoplay M3 comes fully-loaded with several features that make it very user-friendly and surprisingly customizable. First and foremost, the M3 is wireless, and can be operated from a fully-integrated Bang and Olufsen app via WiFi. The Bang and Olufsen app enables you to link the M3 to other Bang and Olufsen devices like the A6, A9 or M5 for a fully “multi-room” experience. The M3 is also compatible with Apple Airplay and Bluetooth, and even has Chromecast built right in, so you can use your preferred streaming service to play your favorite music. One of the most impressive parts of the M3 is the room adaptation feature. 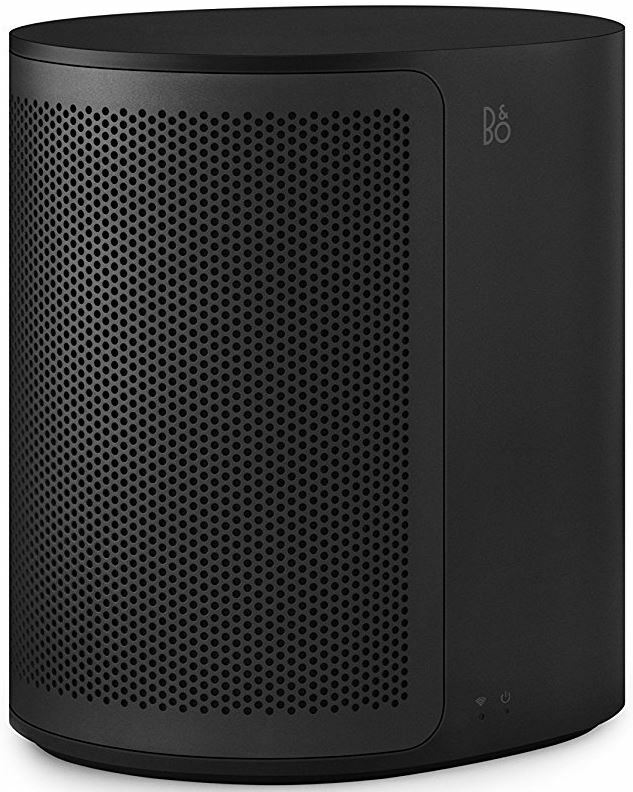 The speaker can be set to play for optimal performance in a corner, a wall or in the middle of the room directly from the Bang and Olufsen app. By choosing one of these settings, the sound will be modified for best results. At first, the long list of features seems overwhelming for those just looking for a speaker with some outstanding sound quality, but if after taking the time to learn how this little powerhouse works and what it can do, it was easy for us to see how valuable some of these hidden extras really were. When it comes to sound quality, the Beoplay M3 certainly packs a punch, especially when you consider its size. With a 3.75 inch woofer, a ¾ inch tweeter and two 40W amps, you likely won’t be filling a full-sized auditorium with sound, but the output is more than enough for small to medium-sized rooms in most homes. Right out of the box, the bass was a bit too noticeable and overpowering, but by choosing one of the room optimization settings via the Bang and Olufsen app we were able to find a setting that was a bit milder. After some tweaking, we found that setting the M3 to corner mode delivered the best, sharpest sound, and cut out some of the excessive bass we encountered when first powering it on. Again, this will ultimately depend on your listening preferences, but it’s certainly nice to know the option is there. We also found that at higher volumes the clarity held up extremely well, with minimal clipping or vibration from the speaker itself. The important thing to remember about the M3 is that it isn’t designed to be your main home audio source; it’s billed as an entry-point, multi-room speaker that can be paired with multiple other devices for a fully immersive experience. For that purpose, it is more than capable of delivering what it promises. The M3 can be a bit overwhelming for someone who may just want to synch their smartphone and start playing music right away. The app is where most of the features are accessed, and is relatively easy to use. However, you do have to be prepared to read the included manual if they want to get their money’s worth and really see what the speaker can do. You’ll need to link it to your smartphone via Bluetooth, and then use the app to locate it once it is connected. 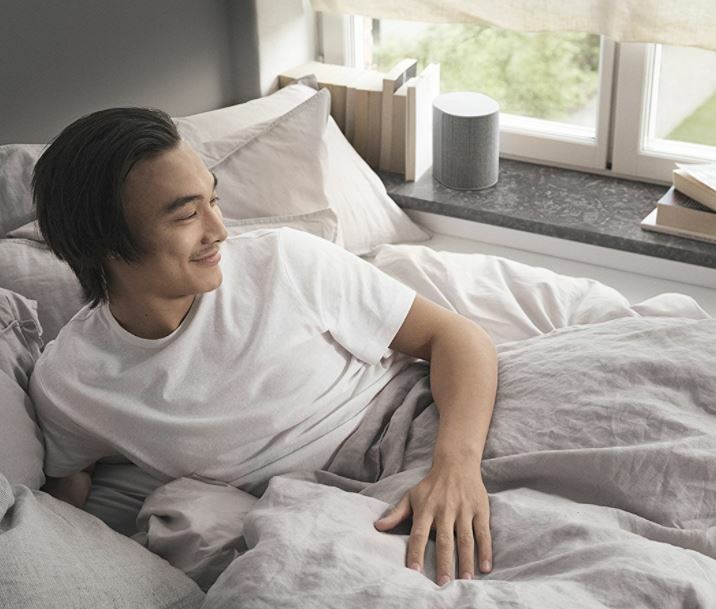 Sometimes supplemental apps can be cumbersome and only create a barrier to efficiency with electronics, but the Bang and Olufsen interface is relatively straightforward, as long as you have the patience. For those that aren’t impressed with all the bells and whistles and may even feel that the price point is too high for a speaker of this size, the M3 may not be the best choice. Still, we felt that after reading the manual and getting to know the M3 for a bit, using it became easier and easier. After a short while, using the app as well as the speaker itself became fairly intuitive. Essentially, after setting the M3 up once, you’ll be good to go every time you want to play some tunes. Overall, we feel that the Beoplay M3 is one of the best bang-for-your-buck wireless speakers out there right now. The sound quality is outstanding for the price point, but the biggest selling point is how customizable it is to your needs. From being able to choose your preferred grill cover to selecting the appropriate sound settings from the fully-integrated app, the M3 is truly a user-friendly, high quality piece of audio gear. While it does take some time to get used to the interface of the app and the overall setup of the speaker itself, we found that once the M3 was up and running it performed extremely well in small to medium sized rooms and at high volumes. It certainly isn’t the M5, but at two-hundred dollars cheaper, it doesn’t claim to be, and can stand alone as a valuable piece of audio gear. We would have liked to see the bracket mount included in the box, seeing as how the M3 is so light, but given its low price point, purchasing this optional accessory as means of increasing versatility still doesn’t seem like it would break the bank. The M3 is powerful enough for small social gatherings, but we found that it also has its place near bedsides or on kitchen countertops. 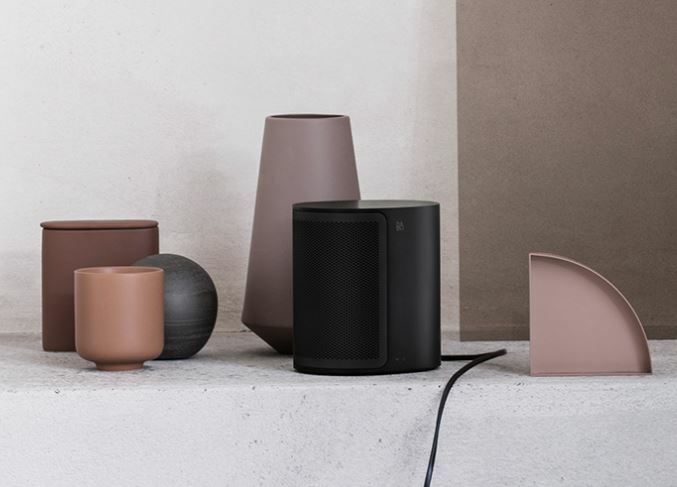 Despite its few limitations, the M3 still has dozens of applications, and the best part is, if it isn’t enough power, it can always be linked to any other Bang and Olufsen speaker to give your living space an extra boost. Or, if you really like the M3, you can link a few of them together for smooth consistent sound across each room in your home. 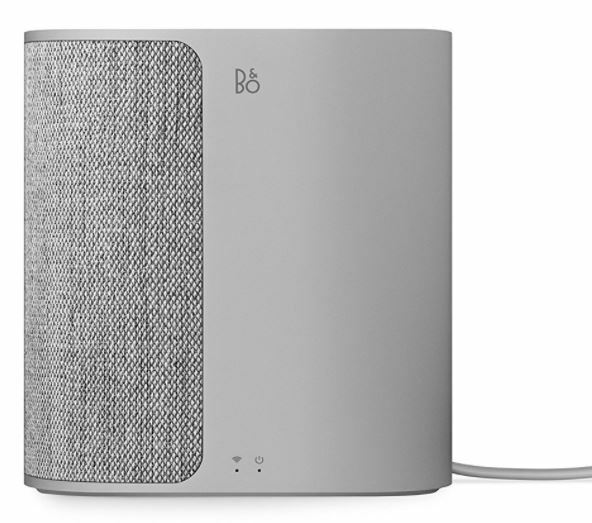 If you’re looking for a small but powerful piece of high-quality audio equipment with a fair price point, do yourself a favor and check out the Beoplay M3 by Bang and Olufsen.